Üsküdar University President Psychiatrist Prof. Nevzat Tarhan and Neurology Specialist Assoc. 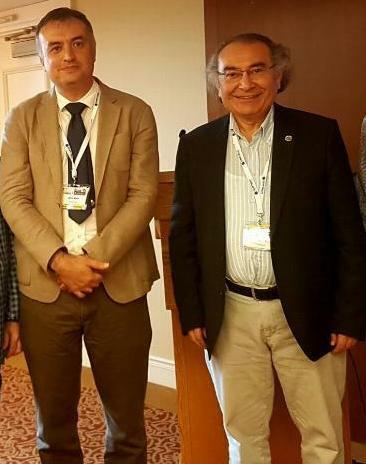 Prof. Barış Metin are selected to be Councilors of ECNS. Elections and re-elections of Officers and Councilors have taken place at the ECNS annual meeting in Pittsburgh, September 2018. Since Armida Mucci’s term ended in Pittsburgh, she is now our immediate Past President, the new President for the forthcoming two-year-period is Oliver Pogarell. Derek Fisher was elected as Secretary and President-Elect, while Newton Agrawal was re-elected as Treasurer for another two-year period. Within the Board of Councilors, Tomiki Sumiyoshi and Bernd Saletu were re-elected for a second period; newly elected Councilors are Nevzat Tarhan, Baris Metin and Salvatore Campanella. Newly elected Councillors Nevzat Tarhan, Barış Metin and Salvatore Campanella will work actively in the new structure. Derek Fisher was elected as Secretary and President-Elect, while Newton Agrawal was re-elected as Treasurer for another two-year period.